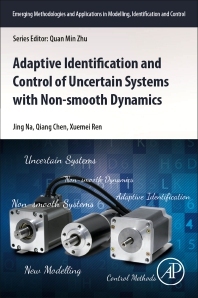 Adaptive Identification and Control of Uncertain Systems with Nonsmooth Dynamics reports some of the latest research on modeling, identification and adaptive control for systems with nonsmooth dynamics (e.g., backlash, dead zone, friction, saturation, etc). The authors present recent research results for the modelling and control designs of uncertain systems with nonsmooth dynamics, such as friction, dead-zone, saturation and hysteresis, etc., with particular applications in servo systems. The book is organized into 19 chapters, distributed in five parts concerning the four types of nonsmooth characteristics, namely friction, dead-zone, saturation and hysteresis, respectively. Practical experiments are also included to validate and exemplify the proposed approaches. This valuable resource can help both researchers and practitioners to learn and understand nonlinear adaptive control designs. Academics, engineers and graduate students in the fields of electrical engineering, control systems, mechanical engineering, applied mathematics and computer science can benefit from the book. It can be also used as a reference book on adaptive control for servo systems for students with some background in control engineering. Jing Na received the B.S. and Ph.D. degrees from the School of Automation, Beijing Institute of Technology, Beijing, China, in 2004 and 2010, respectively. He is currently a Marie Curie Intra-European Fellow, hosted at the Department of Mechanical Engineering, University of Bristol, UK. Since 2010, he has been with the Faculty of Mechanical and Electrical Engineering, Kunming University of Science and Technology, Kunming, China, where he was promoted to be a Professor in 2013. From 2011 to 2013, he was a Postdoctoral Fellow with the ITER Organization, Cadarache, France. He was a Visiting Student in the Universitat Politecnica de Catalunya (UPC), Spain, in 2008 and a joint-training PhD student in the University of Bristol, UK in 2009. He is the member of Technical Committee on intelligent control, IEEE Control System Society, the programme Chair of International Conference on Modelling, Identification and Control (ICMIC 2017), Kunming, China. He is serving as an Associate Editors of International Journal of Modelling, Identification and Control, and IPC member of more than 10 international conferences. Jing Na profehas published more than 90 refereed journal articles and conference papers. He has awarded ‘Best Application paper’ in the 3rd IFAC International Conference on Intelligent Control and Automation Science (IFAC ICONS 2013). His current research interests include intelligent control, adaptive parameter estimation, adaptive optimal control, nonlinear neural control and applications to robotics, servo mechanisms, automotive engines, powertrain and vehicle suspension systems. Qiang Chen received the B.S. degree in measurement and control technology and instrumentation from Hebei Agricultural University, Baoding, China, in 2002 and the Ph.D. degree in control science and engineering from Beijing Institute of Technology, Beijing, China, in 2012. He has been with the College of Information Engineering, Zhejiang University of Technology, Hangzhou, China, where he was promoted to be an Associated Professor in 2016. He has been a visiting student in Universidad Politcnica de Madrid (UPM), Madrid in 2011. His research interests include modelling and control for nonsmooth dynamics, neural network control, and adaptive control with applications to precise motion control.